Mumbai-based GlobalLinker wants to match startups and small and medium-sized businesses to a network of entities that complement their businesses. To achieve this, the company uses a smart patented algorithm to create digital business cards consisting of information related to products and other details. “We identified one growth constraint that every small business faces universally—the lack of wide network, people who could be potential clients, suppliers,” Sameer Vakil, co-founder and chief executive of the venture, told TechCircle. Set up in 2015, the venture is operated by DigiVation Digital Solutions Pvt. Ltd. The firm partners with large, established enterprises such as Jet Airways, ICICI Bank, Union Bank, Mastercard, etc. and uses their landing pages to onboard smaller firms. Once the SMEs sign up, GlobalLinker provides them a range of features including business information, industry news, trending stories, peer contacts, discounted deals and more, Vakil explained. “We at Jet Airways look at SME as a priority sector. We realised that SMEs are often disadvantaged by several pain points and challenges including lack of networking tools, economies of scale, business tools to drive efficiencies, resources and business-relevant information. Jet Airways GlobalLinker was launched to address these issues with the core objective of making the business growth of SMEs simpler, more profitable and enjoyable,” Belson Coutinho, senior vice president of marketing, e-commerce and innovations at Jet Airways, said. SMEs can also benefit from better economies of scale through collective purchasing power and superior access to business knowledge and skills. Currently, GlobalLinker hosts over 150,000 SMEs on the platform and is looking to take the number to 10 million by 2020. The web space a member gets access to also acts as a networking forum, where fellow members can share ideas and stories. “You can almost think of this as what Facebook does for social networking and what LinkedIn does for professional networking. There is a vacuum when it comes to small business networking. That’s what GlobalLinker is doing,” said Vakil. 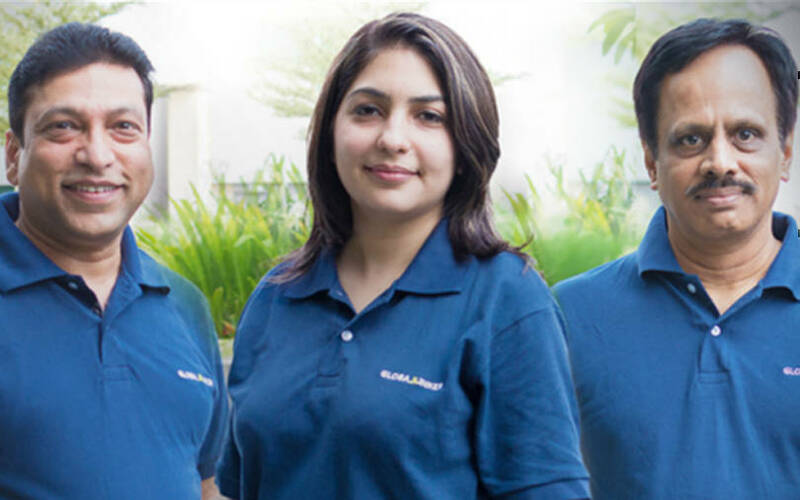 Besides Vakil, the founding team comprises of Summi Gambhir and TJS Varadhan. Prior to establishing GlobalLinker, Vakil, an alumnus of Mumbai University, was the managing director at Citibank in New York. He was also served as the president of Citi Cards Japan and had previously was the country manager for South Asia at Mastercard. He was also amongst the founding members of a joint venture between GE Capital and State Bank of India, which launched the SBI Cards business. Gambhir was formerly an editor and Varadhan has previously worked at Citibank in Japan and at TCS. While SMEs can sign up on GlobalLinker for free, partnering enterprises are charged a one-time fee. Secondly, GlobalLinker draws a commission from every discounted offer a member avails of from the host enterprise and also from purchases a member makes from another business on the platform. In addition, GlobalLinker runs an e-commerce service called linker.store for its member SMEs where they can sell products like an e-commerce website. While the service is available to SMEs for free, GlobalLinker earns a commission on every transaction on the store. GlobalLinker has been expanding its offering to various industry bodies in India and abroad. In November 2018, it partnered with The Monetary Authority of Singapore and the Info-communications Media Development Authority of the island city-state to push forth a global SME-focused initiative called ‘Business sans Borders’. According to Sopnendu Mohanty, chief fintech officer at the Monetary Authority of Singapore, the initiative provides a platform to address the challenges that SMEs face. “SMEs face considerable friction and challenges in achieving quick and seamless access to cross-border trade opportunities and financial services. Concurrently, solution providers with innovative and relevant SME solutions, ranging from logistics, professional services, financing or payments, face challenges in reaching out to these SMEs,” he added. In the same month, Bombay Industry Association (BIA), a forum of industrialists, businessmen and professionals representing MSMEs, launched BIA GlobalLinker, a networking platform for SMEs to connect with global businesses via bia.globallinker.com. “BIA and GlobalLinker coming together will bring about a digital transformation enabling BIA members to connect and network with other businesses at a global scale,” Ajit Singh, immediate past president at the Bombay Industry Association said.